"An international symbol of unity and expression." Subway Therapy is an immersive and interactive work aiming to help people smile, laugh, and feel less stress. It's about peaceful expression and being part of a vibrant and diverse community. For some it's an opportunity to connect, and have a conversation. For others it’s a way to listen and empathize. It can be many things, for many different people. Subway Therapy began with only a table and two chairs. Participants were invited to have a seat and converse about whatever they wanted to talk about. 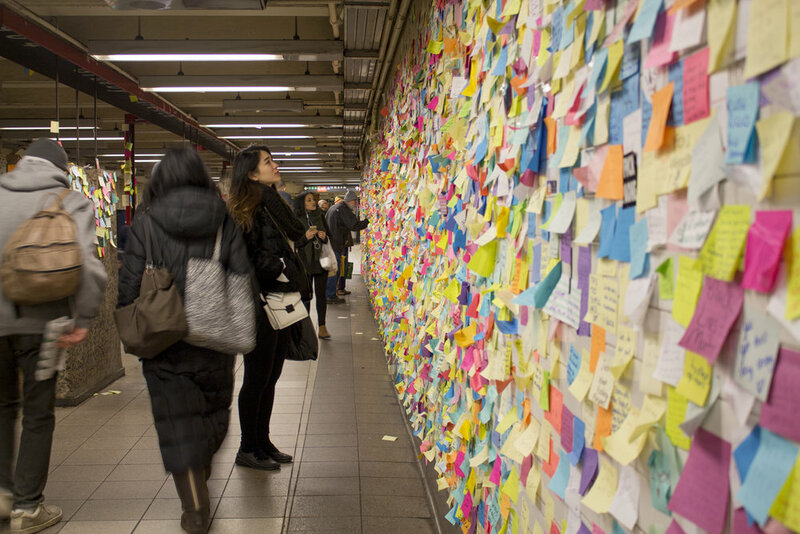 It evolved after the election in 2016 when sticky notes were introduced to the project that reflected the thoughts of over 50,000 individuals from all over the world. 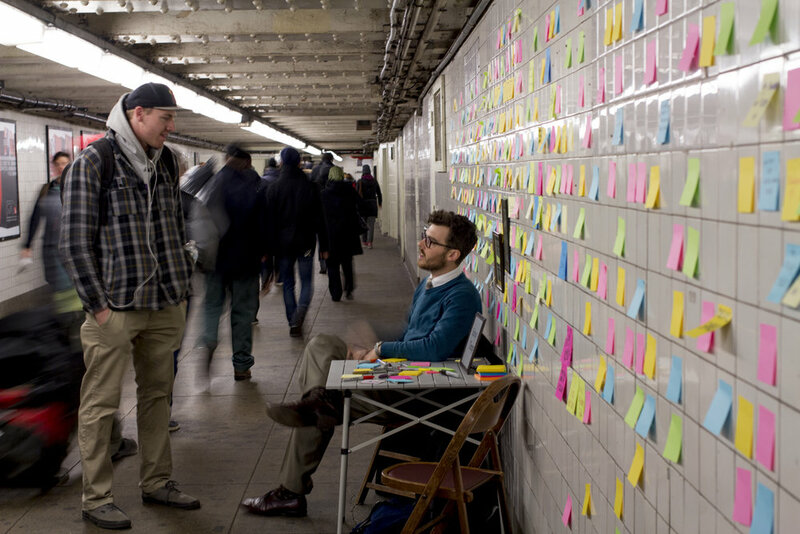 Subway Therapy is an ongoing interactive and participatory public work. It happens regularly in New York, in various US cities and occasionally around the world. Write something on your mind in the field below, and your words will be written on a sticky note. It will join the collection of over 50,000 notes from all over the world. Some people write about love. Others write about stress. You could share your darkest secret, or tell the world about your greatest adventure. Your message will by archived(potentially in a museum), and may make it onto Subway Therapy’s Instagram page. "One of the most significant public expressions of emotions after the election... the notes will not be forgotten." Sign up with your email address to receive news, updates, and info about future events.